Blockbuster earnings growth has offset rising concern on Wall Street about President Trump’s trade wars and crises in emerging markets, such as Turkey. “Earnings season was terrific — and I think we have at least three more terrific quarters ahead of us,” said Jeffrey Saut, chief investment strategist at Raymond James. It’s tough to argue with the euphoric reviews. Ten of the 11 S&P 500 sectors increased profits by double-digits during the second quarter, led by surging growth from energy companies thanks to vastly higher oil prices. The earnings results have been better than anticipated: 79% of S&P 500 companies have beaten Wall Street’s expectations. That would be the highest percentage since FactSet started tracking the stat in 2008, taking out the first quarter’s record. The success has been driven in part by the corporate tax cut, which lowered the rate from 35% to 21%. A big chunk of those tax savings have gone to the bottom line and to stock buybacks, which boost per-share earnings. Stock buybacks could exceed $ 1 trillion this year for the first time ever. But companies aren’t just raking in monster profits because they’re paying Uncle Sam less. Sales, often a better measure of overall health, are also jumping, as the economy grew at the fastest pace since 2014. S&P 500 revenue is on track to rise by nearly 10% in the second quarter, the most since 2011, according to FactSet. “There’s a very favorable backdrop for companies, small, medium and large. It’s pretty impressive,” said Joe Quinlan, head of market strategy at Bank of America’s US Trust. 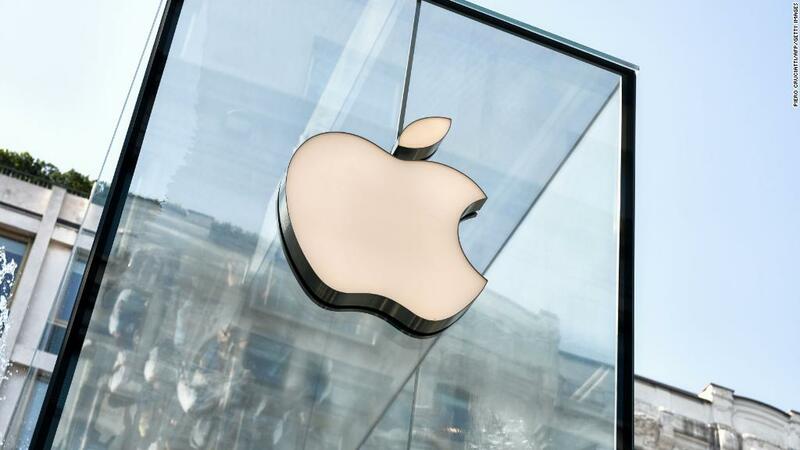 Strong earnings helped Apple (AAPL) become the first company to achieve a $ 1 trillion valuation. During the first quarter, JPMorgan (JPM) reported the biggest ever profit for an American bank. It nearly topped that record last quarter. Although companies are minting money, there’s a reason workers may not be feeling a bump in their paychecks: Inflation is heating up. Real average hourly earnings — which factors in inflation — dropped by 0.2% in July from last year, according to the Labor Department. That’s because consumer prices, excluding volatile food and energy expenses, jumped in July by the most since September 2008. It’s surprising that the low unemployment rate — it fell to 3.9% in July — hasn’t translated to meaningful wage hikes, outside of select industries like trucking and oil workers. “A lot of these costs are going to be passed on to the consumer. There hasn’t been a big margin squeeze yet,” said Quinlan. Goldman Sachs believes earnings growth will “decelerate sharply” in 2019 as the US economy slows and the sugar rush from tax cuts fades.